most importantly, build your credibility online. I promise this post will contain everything you need to get things right the first time, so keep reading. So continue reading. I know that this is a lot of stuff, but I promise that it won’t be that hard. Firstly: read more of their stuff! Read 20-30 of their recent posts. Read a lot of comments. Read as much as you can. Know how their audience really talks, and talk the way that they do. Read as much as you can from their blog. Next, figure out the method behind the magic. Examine their writing style, how they structure their sentences and the whole post, and how they write their headlines. Having this information will greatly boost your chances of getting your post accepted easily and make it also go viral. It will really pay off. Comments are a great place to know what the readers really want and what can really go popular on that blog. The recent posts show you what the owner has been caring about in the last few days. If you can add something great to what they care about, then this can also be a great opportunity for you to have a viral post on their blog. How do I find the perfect topic? If you want to find the blog that you need to guest post on, you need to target readers. Find the readers that will be interested in your content. You don’t necessarily have to guest post on a blog that covers the exact same topic as your blog. Just find the right readers. When you have the blog that you want to guest post on, you need to find the topic that will work on their blog and that relates to your blog. So if your blog is about making money, you can target bloggers, and the topic can be about how to make more money from your blog. 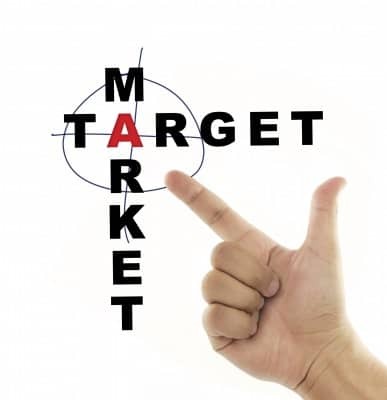 You can also target blogs about marketing. The topic can be how to market your product the right way in order to get more money out of it. Also, you can target productivity blogs. The topic can be something like, “Increase your productivity and make more money.” In other words, you can appear on blogs of different topics and yet gain a lot of benefits. Just find the intersection between the two topics and come up with something that can be of high value for you and for the blog’s owner. How do I find the perfect angle? The topic is the main subject, while the angle is the main thing you will share in the post. For instance, the main topic of this post is guest posting. And the angle would be how to find the right topic and angle to write about when you guest blog on a site. Now you know how to find the topic that will work best for you and for the blog that you want to guest post on. So let’s take the above examples… For the blogs about blogging, you can write something like, “3 Tips to Get More Sales Using Affiliate Marketing.” Or you can write about how to build a blog that builds you a six figure business. For marketing blogs, you could write a post like, “5 Blog Marketing Mistakes That Will Cost You A Lot of Money,” or “5 Simple Tips That Can Help You Get the Most Out of Your Marketing.” And so on. This is how you need to think about finding the perfect topic and the perfect angle to write about on your guest blog. You need to remember the research that you did while you choose your topic. I know that this is really a lot of hard work. But this will make the difference between having a post that gets you 50 visitors only and one that brings you 1000 visitors. Not only that, your relationship with the blogger will be better, and you can ask him to promote any of your products and do you any favours. It will really pay off. So don’t skip this process. We are very near to making your dream real. In our next post, you will learn how to pitch to big bloggers and what headlines you should pick up. Leave a comment now and tell me, what frustrates you most? Are you satisfied with what we have provided up to now? Ahmed Safwan is an expert Blogger and a talented freelance writer. If you really enjoyed this post, Ahmed Safwan has a new blog launching soon and you can subscribe on the coming soon page and you will get our Ebook “Create Compelling Content that attracts readers and search engines” worth 47$ for free. Go now and check To Start Blogging to learn How to Build a Blog that Builds your Multi Six Figure Business Online?. This entry was posted in Digital Marketing, WordPress and tagged blogging on May 21, 2013 by The Core Team.